Hey all! It's been awhile, so I figured I'd check in! Did you know that the school's OPAC can easily be accessed on your phone? The Destiny Discover app is available in both the App Store and the Google Play store. Wondering what books and materials we have? You can download the app, sign in with School Google, and even place holds on books. You can also download audiobooks and ebooks with this app. Watch my quick video tutorial to see what it's all about! Did you know we have Makerspace activities at the library? You can always stop by and see what's going on. Here's a little video that shares some of what the library has for you to explore! Sometimes it surprises students that I still go to school. I'll mention that I am working on an assignment and students will say "You're STILL going to school??" Why, yes. Yes I am. I'm currently obtaining my Advanced Certificate in Educational Computing from Stony Brook University. 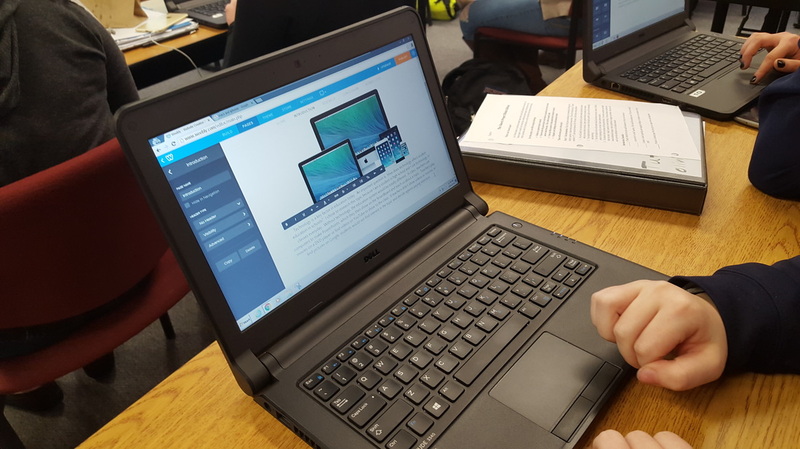 This program keeps me "on my toes" in the library, learning about new and innovative ways to integrate technology into the curriculum, in a way that that enhances and reinvents the learning process. I am what many people call a "ifelong learner." It is what we strive to instill in our students, and in our own children. I hope my son never stops wanting to learn. Reader, i hope you don't lose your passion for learning. 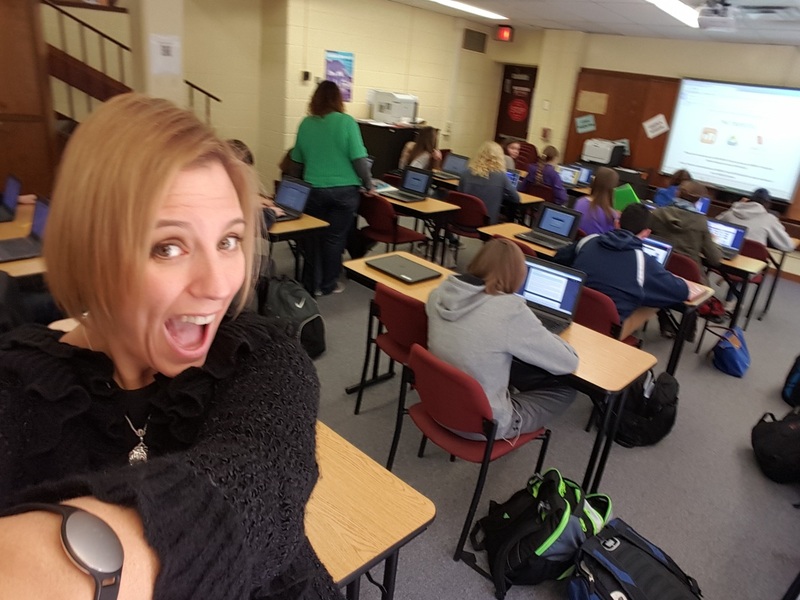 This semester, we talked about selfies, and about how society uses social media. There are both positive and negative aspects, of course. I also learned about Adobe Spark, a fun little tool that students can use to enhance a presentation or website. Here's one that combines selfie syndrome and Adobe Spark. Enjoy! 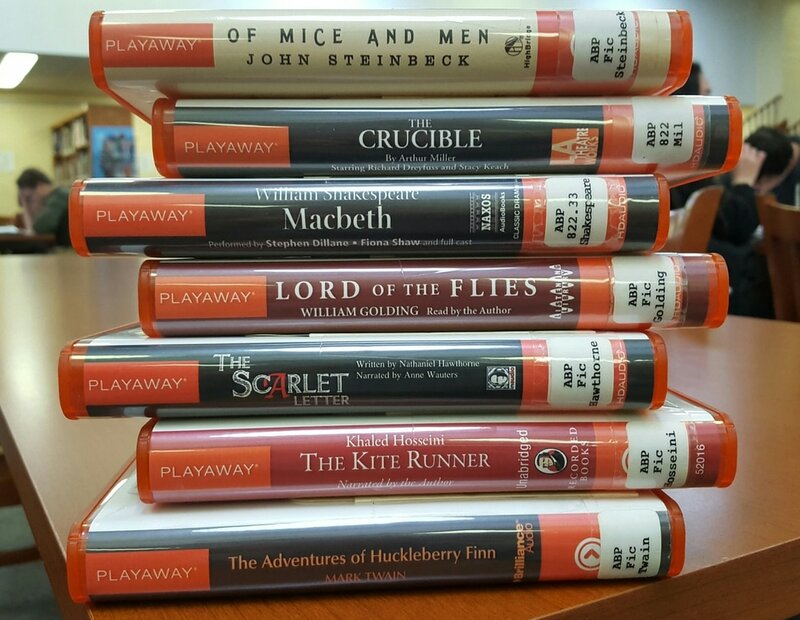 Did you know that the library has Playaways for you to use? 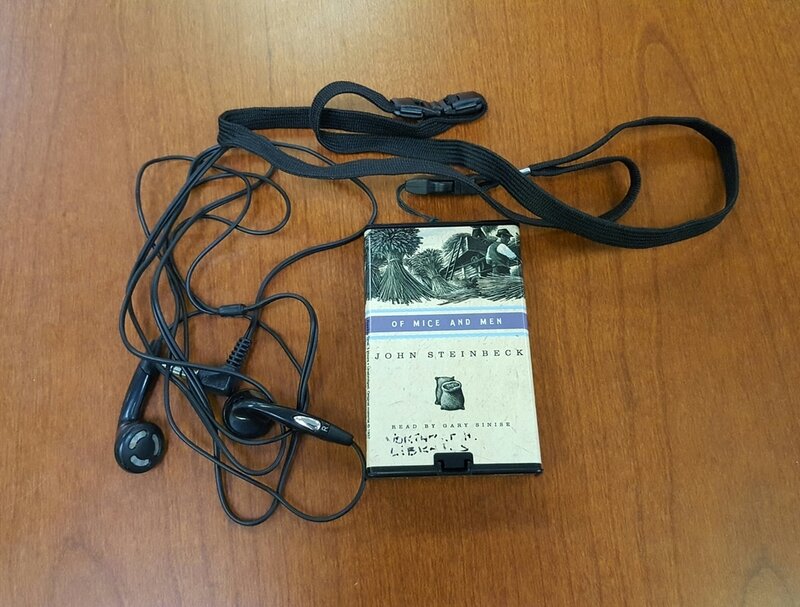 A playaway is a digital audiobook, precisely the size of a deck of cards. Earbuds are provided, but I suggest using your own because, you know, ears are sort of gross. I'm also looking into ordering digital audio files that you can get through a Follett Destiny App called Destiny Discover, which is also where you can access our e-books. We have some great stuff there! If you have questions, feel free to stop by the library! Here are some of our Playaways...do you recognize some of these titles from class? Hello and welcome to a new school year! As a major heads-up, you should be aware that we are now using NoodleTools for all of our bibliographic needs from now on. If you need help signing on, please view this YouTube tutorial made by yours truly. Also, you can find the link to NoodleTools on the "Databases" page on this website, or you can find it on the Library Moodle Page. Why, yes, it HAS been awhile since I last posted. However, that doesn't mean that nothing has been going on in the library. In fact, we have been SUPER busy with working, sharing, and collaborating. 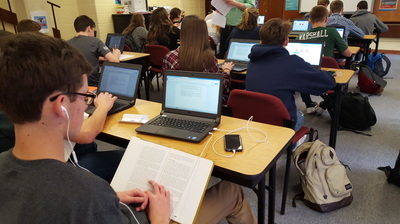 Recently, Ms. Tuthill's classes were in the library, working on their I-Search papers, which is a paper where our students follow an inquiry path of their own choosing to investigate a question that interests them. 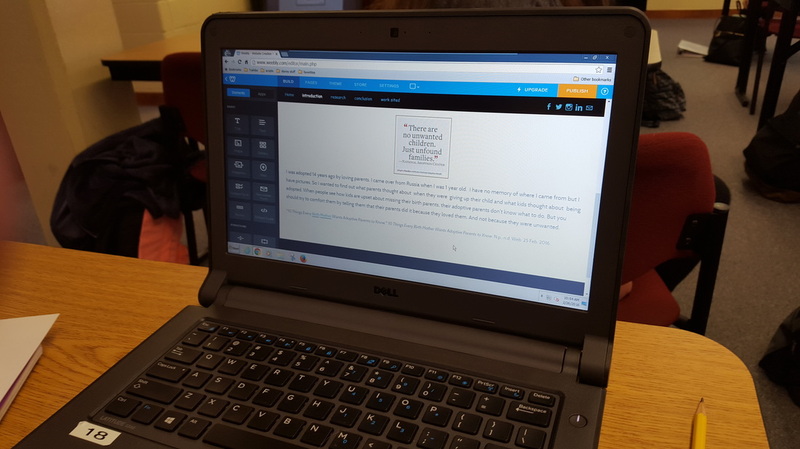 However, instead of just writing a paper, we decided to have our students publish an I-Search website (Weebly, of course!) to add authenticity, promote pride and ownership, and also to allow a more rich multimedia approach to their questions. It wasn't always easy, but our students seemed to take on the challenge! Here's one regarding technology effecting teens today. Regarding why people do, or do not, have babies. How do video games effect teenagers? This is just a sampling of some of the amazing, thought-provoking topics I witnessed our students investigating. I can't wait to see the finished products...can you? Ninth Graders are taking over the library! 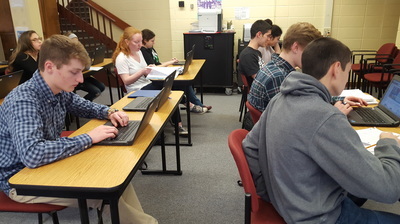 The library has been buzzing with ninth graders for the past two weeks. We had visits from Ms. Rice's English 9 classes; they worked on their I-Search papers. They enjoy investigating topics that are interesting to them! The library has also been alive with the Bard this week! Ms. Fearon's classes have been exploring topical issues related to Shakespeare's Romeo and Juliet; her seniors will be arriving soon to explore major themes in Hamlet. 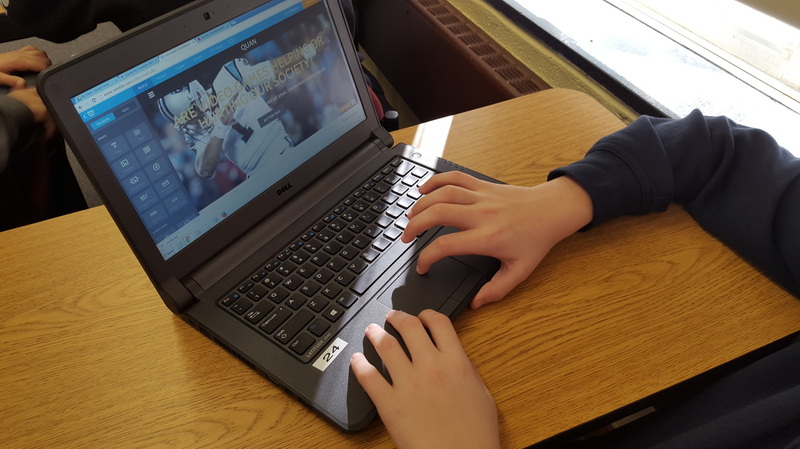 Ms. Tuthill's classes have also been exploring Romeo and Juliet by creating audiovisual commentaries on various speeches using Powtoon. Welcome to our "NEW" new website. I know, I know. I already unrolled another "new" website last year. However, I became frustrated with the old model, and now I'm onto this! I'm hoping to let you know all about the amazing things that happen here at the Northport High School Library. Every day, I see students. Sometimes they're in class; sometimes they're just here to meet with friends and socialize or work. All of this is welcome here at our library. I especially love seeing students collaborate and use technology! Mrs. Cavaliere is thrilled to be the Library Media Specialist at Northport High School. She holds a Master's Degree in Library and Information Science from St. John's University, as well as a Master's in English Literature from the University at Stony Brook and a Bachelor's Degree in Theatre from Marymount Manhattan College.